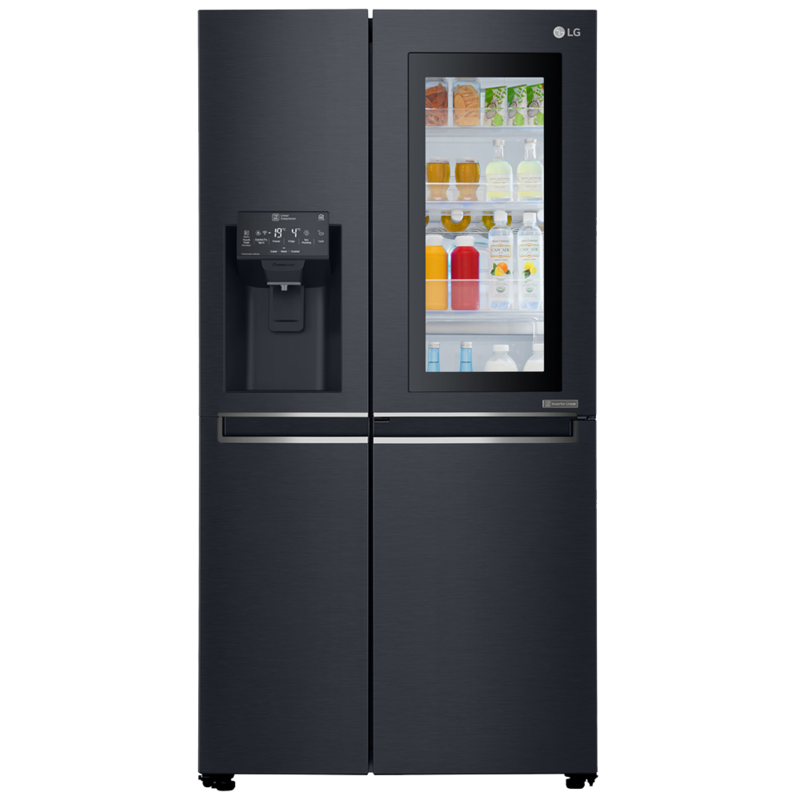 LG are one of the world’s leading manufacturers of home appliances and offer some of the most innovative, refrigeration and laundry products on the market. Here at Appliance City we recommend LG appliances for their unique features, superb design and excellent build quality. With LG – Life’s good! 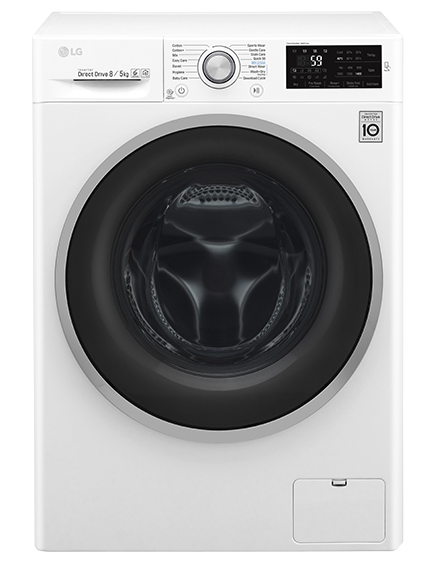 LG washing machines are packed with fabulous features and offer up to 12kg drum capacities for even the biggest loads. 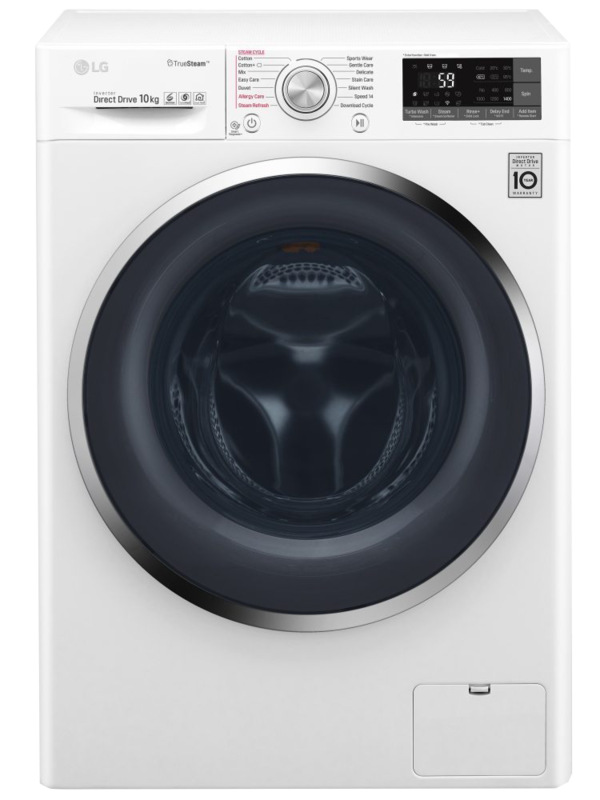 Many LG washers also feature TrueSteam technology, which improves efficiency and wash performance due to the combination of water and steam penetrating fabrics more effectively. It also removes up to 99.9% of allergens from clothes and sterilises bacteria. The Direct Drive belt-less motors found on many LG machines are incredibly quiet and reliable, providing long-lasting performance. LG machines also come with a standard 10 year warranty on the motor! LG washer dryers give you the best of both worlds and save you space. 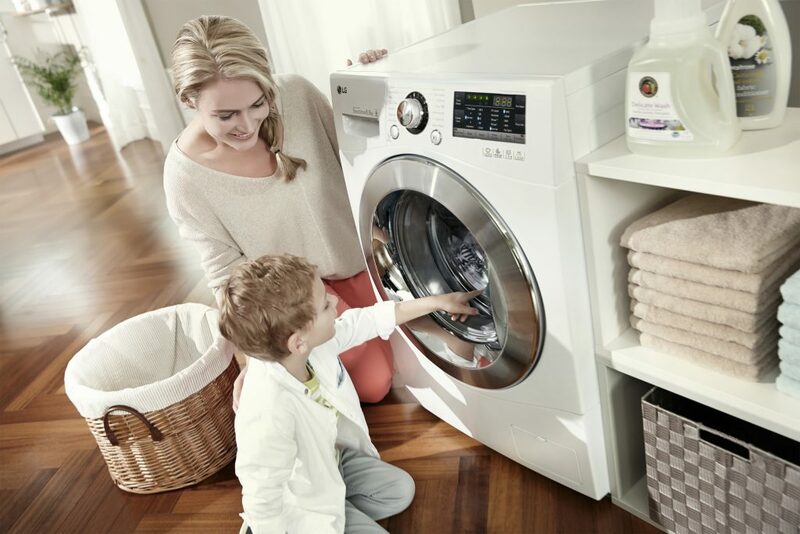 Many LG washer dryers feature TrueSteam technology, which supports 99.9% Allergy Care, Steam Softener and 20-minute Refresh programs that deliver thorough cleansing and garment invigoration. Eco Hybrid Technology available on selected models, saves water or shortens the time of the drying cycle, depending on whether you choose Eco Dry or Normal Dry, making them perfect for saving energy costs. The Direct Drive belt-less motors found on many LG machines are incredibly quiet and reliable, providing long-lasting performance. LG condenser tumble dryer’s are designed to keep humidity to a minimum by cleverly condensing steam generated to turn it back into water, the excess can be emptied manually or automatically. The Eco Hybrid models save energy and time by drying at lower temperatures to make sure your clothes are cared for during the drying process. Also the Inverter Pump Technology automatically washes out the condenser up to 7 times during the drying cycle, saving you the hassle! Many models also feature Smart Diagnosis meaning you can diagnose up to 28 technical problems on your dryers. LG started life as two individual companies, Lak-Hui (pronounced lucky), the first Korean plastics company and GoldStar another plastics company. In 1958 both companies merged and formed Lucky GoldStar and in 1965 produced the first refrigerator for the Korean mass market. The company quickly grew and rebranded to LG. 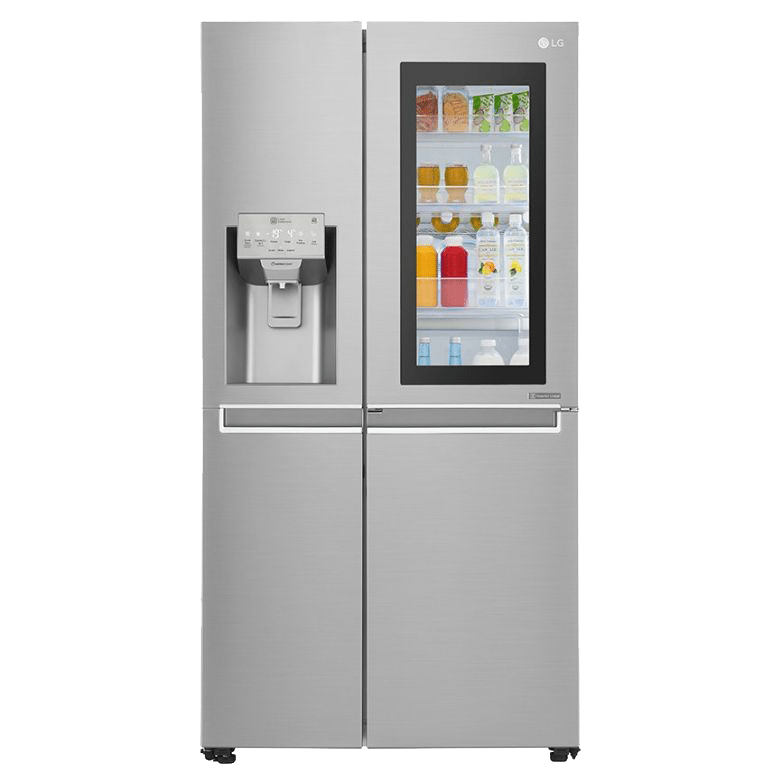 Today LG produce a vast variety of products from TV’s to fridge freezers that all have one thing in common – LG’s desire to create a happier, better life by providing outstanding products. This philosophy is without doubt reflected in it’s home appliances today. Innovative technology such as 6 Motion Direct Drive and the Linear Compressor have propelled LG to the top of the home appliances world. LG’s stunning Instaview door-in-door fridge freezer has a sleek mirrored glass panel that illuminates with two quick knocks on the glass. This allows you to see inside the easy access compartment without ever opening the door, therefore reducing cold air loss to help keep food much fresher for longer. It looks superb. It really is something of beauty. 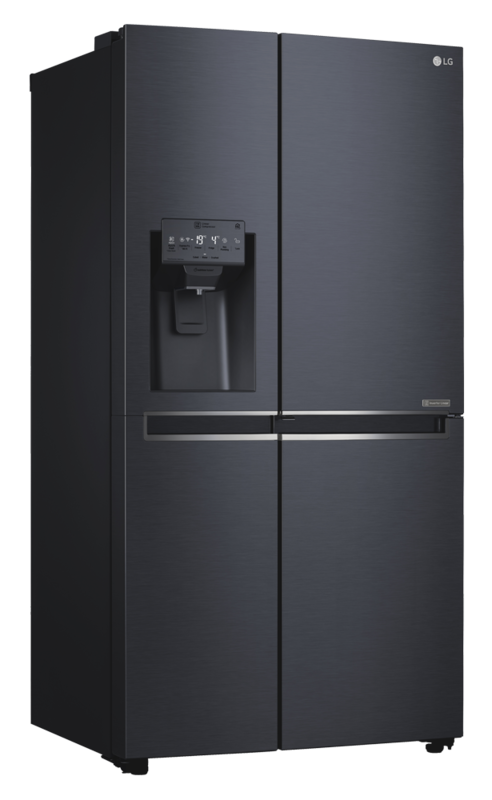 With features such as Centum System, Auto Open Door and Drawer, Platinum Fresh Wall, FreshShield Cooling and Pure N Fresh this is the ultimate fridge freezer. So, with an array of superb features and a stunning design both inside and out, this LG Instaview is the perfect choice for any kitchen. Get to your favourite food fast with LG’s Door-in-Door™ technology. 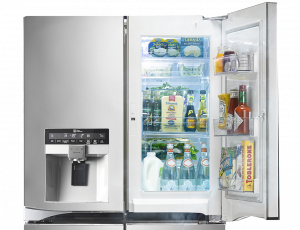 The LG Door-in-Door™ is a well-designed double-layered door featuring a unique panel that opens with the magic touch of a button, making it incredibly easy to access the foods you use the most on a daily basis. The innovative Door-in-Door™ lets you quickly locate and grab your favourite drinks, snacks and food items without having to raid the shelves. Not only that, there is less cold air loss using the Door-in-Door™ therefore saving energy! Freshly filtered air circulation for a smell free fridge! Minimise your refrigerator odours with this unique air purification system from LG. The Pure n Fresh filter recirculates air through a dedicated fan deodorising the air for a pleasant smell from your fridge at all times. 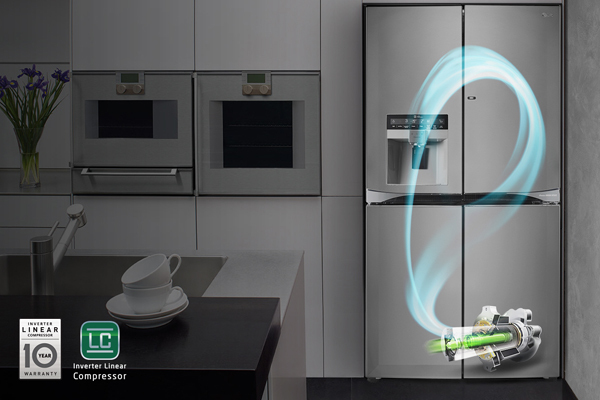 LG’s Inverter Linear Compressor technology maximise energy savings, lowers noise levels and keeps food fresh longer. 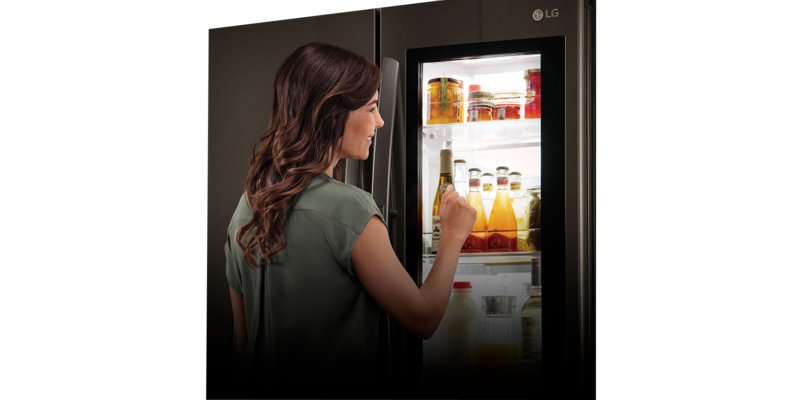 The Inverter Linear Compressor reduces internal friction for less wear and tear, making the refrigerator so durable that LG can back it with an impressive 10 years warranty! Buy with confidence. Using steam in your wash helps eliminate 99.9% of allergens from our garments. Stream technology supports Allergy Care, Baby Steam Care and Steam Cotton programs which deliver thorough cleansing and garment invigoration. Allergy Care & Baby Steam Care has been awarded the British Allergy Foundation Seal of Approval, meaning your clothes will be as clean and soft as ever. The perfect choice if you have precious little ones, or simply want allergy free clothing! 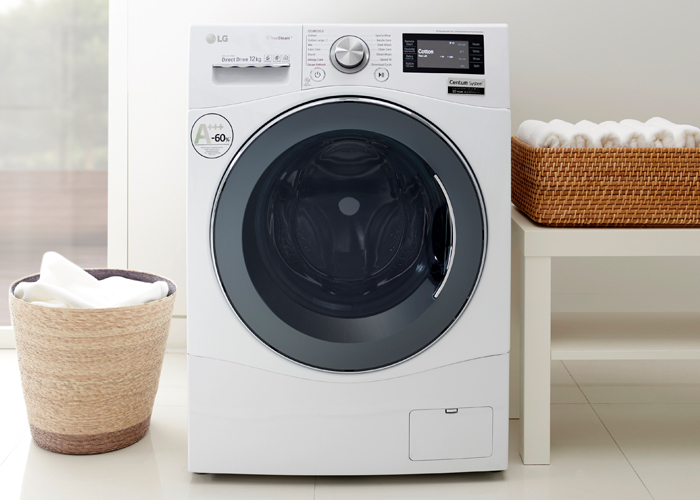 LG 6 Motion Direct Drive washing machines deliver cutting-edge solutions for your laundry needs—so you can take clean to a new level. The 6 different washing solutions ensures your clothes are not only perfectly clean but are kept in the best condition so you can keep wearing them again and again. Direct Drive washing machines are high-efficiency machines that cut energy costs and water consumption, compared to conventional washing machines. Wise Wi-Fi Laundry. 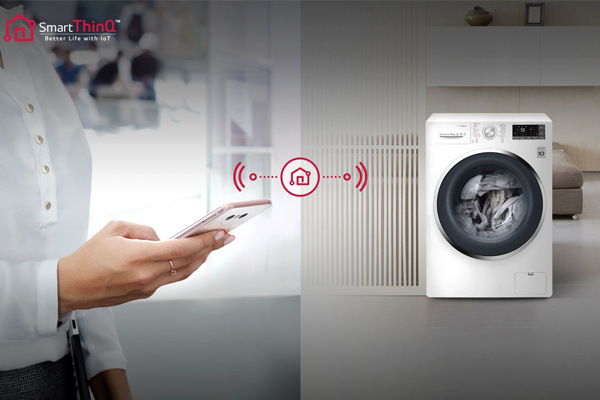 Manage your washing machine anytime anywhere, with SmartThinQ™ technology. You can operate the washing machine remotely, download specialised wash cycles and even track the amount of water and electricity used. All at your fingertips. This doesn’t just apply to washing machines though. 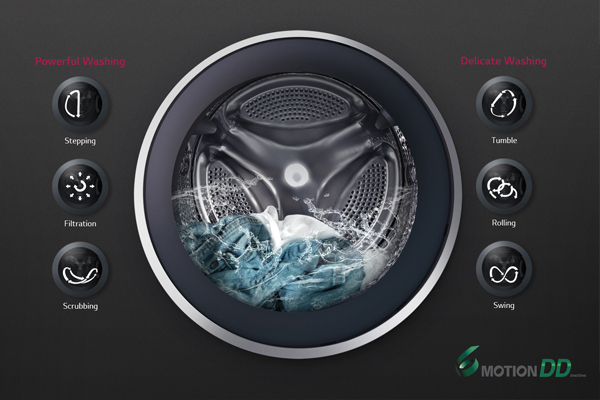 Many of LG’s tumble dryers, washer dryers and refrigeration appliances have SmartThinQ too! Perfect for your on the go lifestyle. 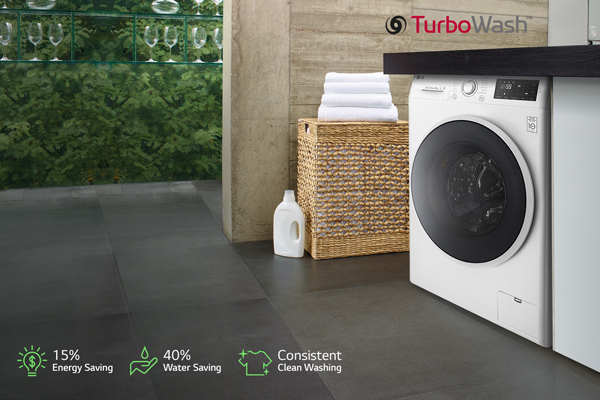 LG TurboWash™ cuts down a regular wash program to an amazing 59 minutes. Plus TurboWash™ slashes energy costs, reducing electricity consumption up to 15 percent and water consumption up to 40 percent. You can now do your laundry in less time than ever before, spend more time relaxing and save on those annoying utility bills, too. TurboWash makes use of a jet spray to significantly reduce washing times, create energy savings and deliver cleaner clothes.